Hope for the best, but plan for the worst. This is true in many of life’s endeavors, but perhaps even more so in the food industry. Building a profitable food business doesn’t just happen; it’s a result of a great deal of planning. The food industry is notorious for high employee turnover, and restaurants are filled with potential hazards. A destructive kitchen fire or nasty lawsuit could be the end of the business you’ve worked so hard to build. Restaurant insurance is essential to help protect your business when these incidents occur, but if you can prevent them from happening in the first place, that’s even better, and you’ll lower your insurance costs in the process. Developing a risk management plan for your restaurant, bar or nightclub is the first step. Employees can be your greatest asset and your greatest liability. The food industry experiences a turnover rate that is higher than 70 percent, according to the Bureau of Labor Statistics. This high turnover rate often leads to providing minimum training to restaurant employees. Owners and managers figure, “This new employee probably won’t stay here very long; why waste time and resources to train them.” This mentality is understandable, but it’s also a mistake. Understanding how to work safely is probably the most vital training you can offer especially for any employees working in the kitchen where there is a multitude of hazards. Employees should know how to safely use any tools or equipment they use to avoid personal injury. They should also understand general safety precautions such as the importance of removing grease from stoves to avoid fires; how to handle, store and prepare food to prevent contamination: and keeping floors clear and dry to avoid falls. If you serve, sell, or furnish alcohol in your restaurant, you could be held liable for any accident, injury or damaged caused by an intoxicated customer. Therefore, it’s vital that any employee serving alcohol knows how to recognize if someone is intoxicated and how to handle them. Properly maintaining your property will help keep your employees and customers safe from injuries and your property safe from damage. Everything from the kitchen to the dining room should be kept clean. Spills in the dining room should be cleaned up immediately to avoid falls, countertops in the kitchen should be kept clean to prevent food contamination, and ovens and stoves should be regularly cleaned to avoid fires. Exits and entrances should always be kept clear in case of an emergency and areas where people walk should be clear of clutter to avoid trips and falls. Keeping up with general building maintenance such as lose railings or broken tile can save you from bigger repair bills and more importantly from injuries and potential lawsuits. Heating units such as stoves and heating lamps should be inspected regularly and any issues addressed immediately to avoid injuries and fires. If your refrigerator breaks down, you risk losing all of the food in it or worse causing food contamination and illness. This can cost you time, money, and more. Inspect your freezers and refrigerators regularly and address any issues immediately. Sometimes even the best-laid plans fail, and that’s where insurance can help protect your restaurant business. For example, Workers Compensation Insurance helps pay for medical costs and lost pay to injured employees and protects your company in the event of an employee lawsuit. 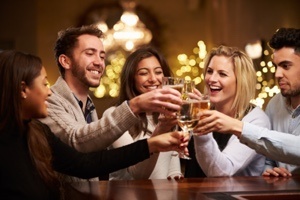 Liquor Liability Insurance helps pay legal costs in an alcohol-related claim. General Liability Insurance helps pay medical expenses and legal fees if a customer is injured. 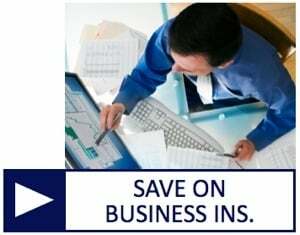 Contact the Restaurant Insurance Specialists and Start Saving Today! The best way to determine which insurance protections are best for your restaurant is to find an experienced independent agent who specializes in Restaurant Insurance. 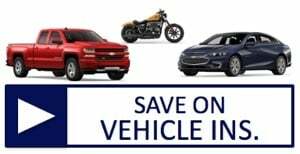 Get the best price on reliable coverage by working with our independent agents who will compare costs and coverages among many competing companies. Great coverage at a great price, guaranteed! Give us a call today at (800) 947-1270 or (610) 775-3848 or find us online. As a restaurant owner, you know there are certain types of restaurant insurance that you need to protect your business. What if a customer is injured on your property and sues you? How will you repair the damages if there’s a fire in your kitchen? There are so many “what-ifs” in any business, especially if you’re in the food industry. While you may have perfected your Béarnaise sauce and learned how to create a soufflé that stands tall, what do you really know about insurance? How well do you know each type of insurance and how much coverage you need? Let’s face it; insurance can be complicated! That’s why your best bet is to work with an independent insurance broker who specializes in restaurant insurance and can help ensure that you have the right coverage at the best price. Play the “what if” game to determine what kind of risks your business may be susceptible to and then consider what assets are essential to running your business – the ones you can’t do business without. An underwriter from your insurance company will determine the level of risk it is willing to take and how much coverage it is ready to provide to determine your insurance premiums. However, it’s still good to know what protection you need. And things change – maybe your business is growing, or you sold a piece of equipment – so you’ll want to have a yearly insurance checkup with your insurance agent to make sure you still have the right coverage to protect your business. It’s true that you don’t want to pay more for insurance than you have to, but if you purchase the cheapest insurance, and it doesn’t cover you when something happens, that isn’t protecting your business. Many restaurant owners increase the deductible to save money on their premiums. That’s often a good idea, but make sure you have enough available cash to cover that deductible if something happens. Before raising that deductible, ask yourself, what financial resources do I have available and what level of risk am I willing to take. 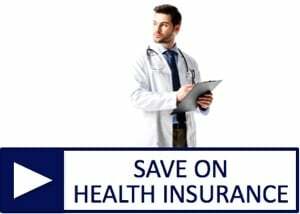 The best way to save money is to work with a broker who can get you the best price on the coverage you need by comparing prices from several insurance agencies. Insurance policies can be complicated, but it’s essential that you understand the terms of your policy and the exact coverage that it provides. Make sure that you understand the exclusions and look for gaps where additional coverages may be needed. For example, if you have a liquor license, general liability usually doesn’t cover that, but liquor liability insurance does. Talk to your insurance broker and ask questions - that’s what we’re here for. Remember, the purpose of business insurance is to protect your business. To make sure that you’re covered if you get sued or if there’s a fire in your kitchen, or if any number of unforeseen incidents occur. You want to be certain that an accident cannot put you out of business. Get Help. Contact the Restaurant Insurance Specialists! Don't go it alone. Give American Insuring Group a call at (800) 947-1270 or (610) 775-3848 or contact us online. We specialize in quality restaurant insurance at affordable pricing, and provide prompt service not only when you’re purchasing your insurance, but also if you have a claim. We have access to multiple insurance companies and will shop and compare both coverage and cost to ensure that you have the right insurance to protect your business at the best possible price. Every industry comes with its own unique set of issues and concerns when it comes to insurance; the food industry is no exception. And of course, each individual restaurant is unique. 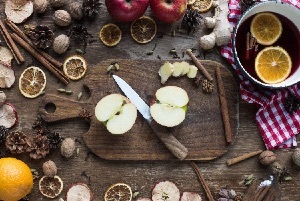 There is no one-size-fits-all when it comes to restaurant insurance. When choosing the best insurance for your business, you need to look at what coverages are required by law and possibly by your lender, and what your risks and needs are. #1. What type of business are you insuring? We use the broad term “restaurant insurance,” but that can mean many different types of “restaurants”: bars, nightclubs, pizzerias, caterers, food trucks, full-service restaurants and the list goes on. Each type of business comes with its own unique risks. #2. What are the primary types of restaurant insurance that most restaurants are required to have? 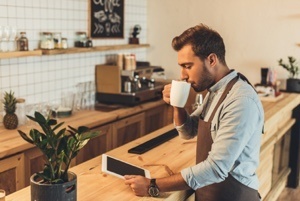 There are three types of property and casualty insurance that every restaurant owner needs to consider: property, commercial general liability (CGL), and workers’ compensation. Property insurance will protect the things you own such as the building, equipment, etc. The right property insurance will help you replace or repair your property if it is damaged due to a fire, storm, or theft. It may even include business interruption insurance. If you sustain damage to your restaurant that requires you to suspend operations for a period of time, business interruption insurance covers your loss of income (the profits you would have made had your restaurant been open) while the damage is repaired. Commercial general liability insurance (CGL) protects you from liability claims against your restaurant for property damage and bodily injury. For example, if someone in your restaurant falls and sustains injuries, they may decide to sue you. CGL insurance will help cover legal costs and any judgments or settlements against you. Workers’ compensation insurance (WC) is mandatory in most states for most businesses with employees. WC pays for an employee’s lost wages and medical costs if they’re injured on the job. It can also help protect your business against accident-related lawsuits from your employees. #3. What are other risks I need to consider? Once you have an idea what the basic types of insurance will and will not cover, you need to consider other risks that could affect your restaurant. Here are just a few examples. If you use a car to deliver food, you need to have commercial auto insurance. If you serve liquor, you should have liquor liability insurance. An experienced commercial insurance agency like American Insuring Group will help you consider all of your risks and determine which coverage is best for you. #4. What other factors affect the cost of my insurance? Size of business including the number of employees, sales volume, and square footage of your property. Types of activities like entertainment, mechanical bulls, and off-premise catering. It’s probably no surprise that a nightclub with live entertainment that serves light fair (but mostly alcohol) and stays open until 2 am is going to pay more for insurance than a pizza parlor that doesn’t serve alcohol and is only open until 10 pm. Obtaining the Right Insurance Policy Requires Expertise - Don't Risk It! Purchasing the best insurance for your restaurant – one that covers all your risks at a reasonable rate – is not a simple process. It takes an experienced insurance agent to ask the right questions and offer the best solutions. That’s just one reason why trying to buy restaurant insurance online is usually not your best options. It’s also important to note that there isn’t just one insurance company that can offer all types of restaurant insurance at the best price. Get The American Insuring Group Advantage! Independent insurance agencies like American Insuring Group represent many different insurance companies (in our case, lots and lots of companies! 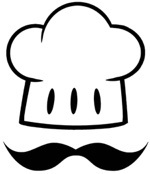 ), so we can find you the best rate for any type of restaurant insurance you need. So give us a call at (800) 947-1270 or (610) 775-3848 or connect with us online for a free insurance review! If you have a dream of owning a restaurant, bar or nightclub, restaurant insurance is probably one of the last things you want to think about. It isn’t as exciting as creating a menu or choosing the right linens, but having the right restaurant insurance has saved many establishment owners money, headaches, and - at times - even their business. The right insurance can protect you from all types of disasters, from a small equipment breakdown to a devastating liability lawsuit. Depending on where you’re opening your restaurant, there may be certain types of insurance that are required: many banks demand certain insurance in order to procure a loan or mortgage. So, like it or not, it’s in your best interest to learn what you can about insurance for your restaurant, bar or club. 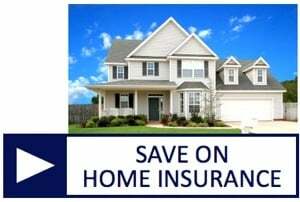 Property insurance protects your property if it sustains damage. It typically covers damage caused by fire, smoke, wind, hail, the weight of ice and snow, lightning, theft and more. It may not include natural disasters such as floods or earthquakes. If you have a mortgage on your business, property insurance is a must. Commercial General Liability Insurance protects you against liability claims for property damage and bodily injury. For example, if a customer is injured by a fall in your restaurant and sues you, CGL helps pay legal costs and any damages you are required to pay the plaintiff. In today’s litigious society, CGL is a must for almost any business owner. If you have a liquor license, most states require that you have this insurance, and again your bank may also insist on it. Liquor Liability Insurance helps protect you if a customer drinks too much while at your establishment and hurts himself or someone else, or causes property damage. Your CGL may cover you in some cases, but not all. “Dram Shop” laws exist in forty-three states, including Pennsylvania. Under this law, any business that gives alcohol to a visibly intoxicated person is responsible for any damage that person causes. This makes it much easier for people to sue the restaurant or bar where they have been served. Workers’ Compensation Insurance is mandatory in most states, including Pennsylvania (with a few exceptions). Typically, workers’ compensation insurance pays lost wages and medical expenses incurred as a result of a work-related injury. Plus it protects the employer against accident-related lawsuits. 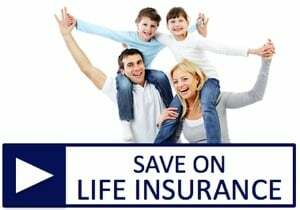 Life insurance coverage is another form of protection that may be required by your bank if you have a mortgage or loan with them. It is also a good idea to have life insurance if your death would cause a financial hardship for your family. There are two types of life insurance: term and permanent. A good insurance agent can help you determine the best one for your situation. If you sustain damage to your restaurant that requires you to suspend operations for a period of time, Business Interruption Insurance covers your loss of income (the profits you would have made had your restaurant been open) while the damage is repaired. No matter how careful you are, there is always a possibility that your food could become contaminated, cause food poisoning, or transmit a communicable disease. Typically, Food Contamination Insurance helps pay for lost income if the business is shut down by a government authority, clean-up expenses, food replacement, and additional advertising expenses required to restore your restaurant’s reputation. Get to Know Your Restaurant Insurance Options - Contact Us Today! You may need some or all of these types of insurance, so it’s smart to understand your options. Our qualified independent insurance agents understand the local and state laws pertaining to the types and amounts of insurance you’re required to carry. They can help you determine if additional insurance is right for you. Ask the independent agents at American Insuring Group about obtaining reliable protection at a great price. We've been helping businesses like yours for decades. So call (800) 947-1270 or (610) 775-3848, or contact us online to get affordable insurance for your restaurant, club, bar, coffee shop, food truck, or catering service.